Beeeeeeeauuuuutifuuuuuuuul! Love those hearts (all of them) – it just adds so much with the crackle stamp. I’ve recently got some pan pastels but been too much of a coward to use them! lol. Really think I’ll have a go now. I sympathise with your internet probs – I didn’t have a computer either yesterday……..was it all peaceful and serene without it? NO! Have a wonderful birthday and holiday – hope all goes well this time. Lovely clean and simple card Marie and the envelope is a real work of art for sure..
Beautiful and elegant card. love the envelope as well. Have a super holiday and Birthday. Best wishes for your birthday and have a lovely holiday. A really gorgeous card Marie and the envelope and hearts are beautiful. Have a lovely birthday and holiday and hope the sunshine you’re sending does arrive as it’s yuck yet again here! I hope you manage to get away this time – happy birthday for Saturday! 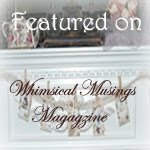 These hearts are absolutely gorgeous – love the crackle stamp! 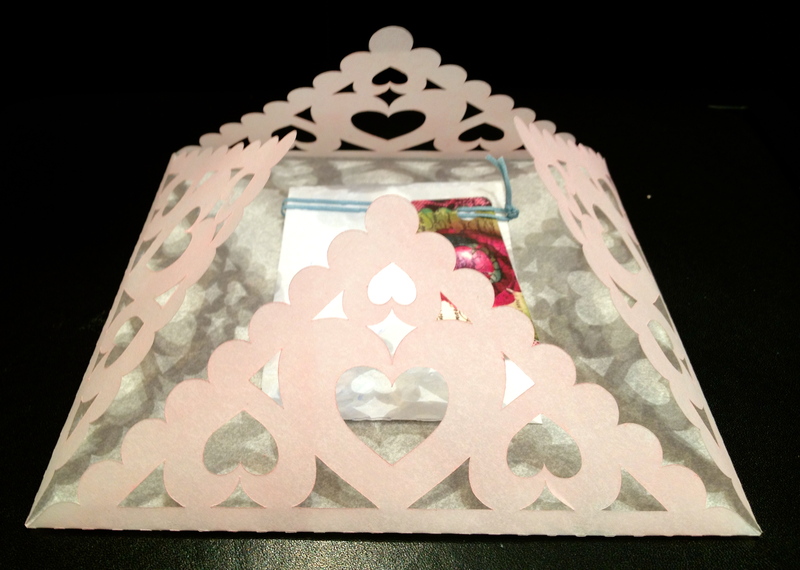 Stunning CAS and love the way you went the extra mile with the details of the envelope and those teeny hearts. Gorgeous, gorgeous work Marie, beautiful pieces and I have to say I hope you posted me some of that sun – I soooooooooo need it lol. wonderful CAS card and beautiful envelope. have the best birthday EVER! Fabulous creations as always Marie, you certainly are a woman of many talents. Hope you have a fabulous holiday and a very Happy Birthday. Love how you created your crackled hearts, Marie. 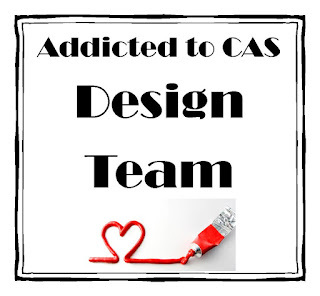 Such a fabulous CAS card. 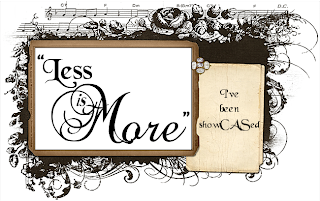 I love both envelopes, too….brilliant work, as always! Wishing you and hubby a FABULOUS holiday! And I hope you have a WONDERFUL Birthday! 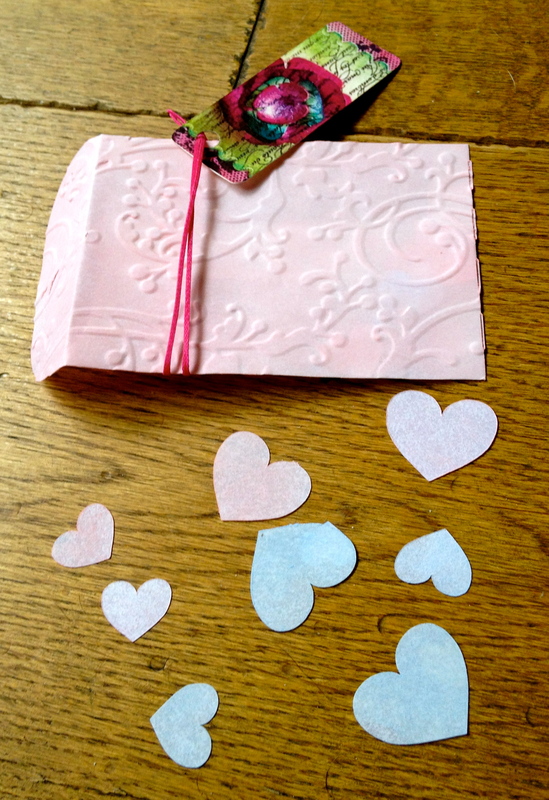 Those crackled hearts are amazing, as is that fabulous ‘envelope’ (more like a work of art)! Hope everything is back on track real soon! Hi Marie. Wonderful makes again. Love the hint of crackle on the hearts. Happy Birthday!!! You certainly don’t look your age!! Glamour puss!! Have a lovely holiday with hubby. How romantic. Take care. Marie you did such an amazing work, Love them all. Marie what a lovely card, i love the effect on top of the hearts! Really amazing, love the colors. For this comment to have more impact please play Michael Jackson’s “I’m bad”….. in the background………So here goes I have been a very bad blogger and an even worse stalker……I think I am back as long as there is not another heat wave as the computer will not work then!……. 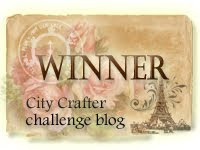 I have been blown away by your creativity you make such beautifully crafted cards it must come from your jewlery making skills….they are wicked! 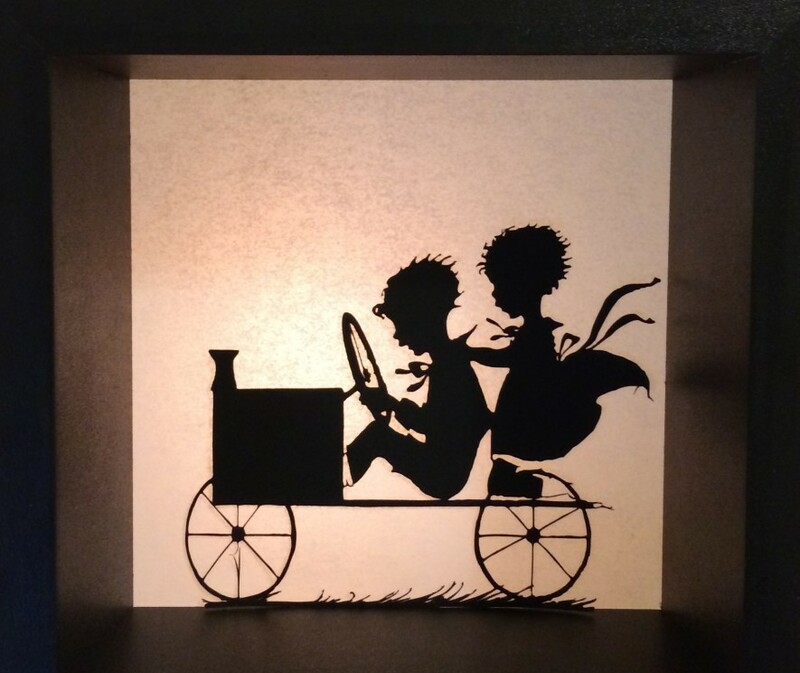 I love your clean and simple style and i want a cameo………you have shown me how fantastic this machine is….. you may convert me yet (into buying a die cutting machine )….. I will be back soon!!!!!!! I’m going to Lesvos in September, give me some hints when you’re back. Have fun and enjoy!!! Hi Marie, you should be enjoying your actual birthday as i write this :0)…hope you’re having fun!! 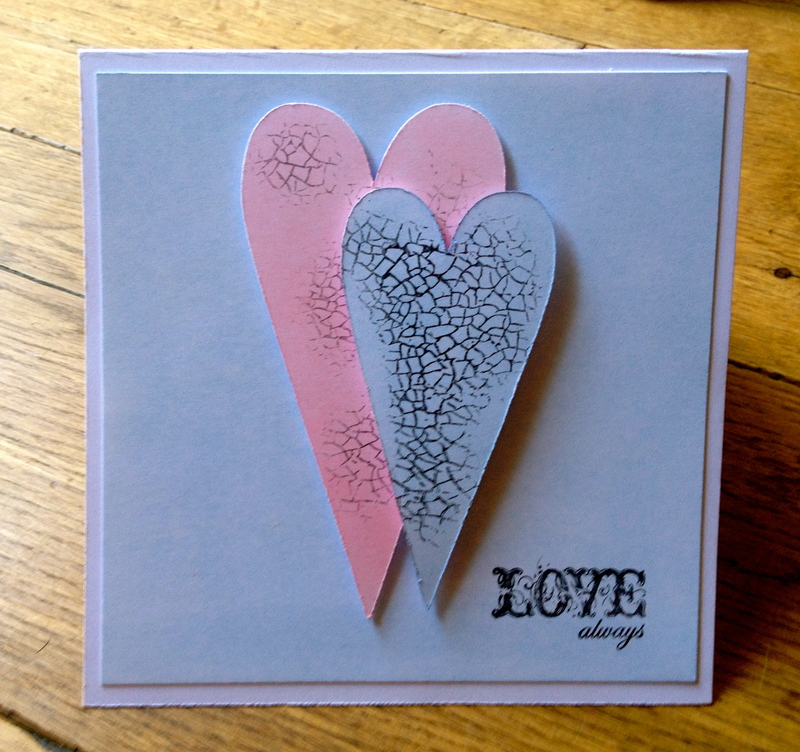 Gorgeous card, love the crackle effect on the hearts…they look like wood!! Happy birthday Marie! !May all your wishes and dreams come true!!!! I love your card!And I love what you do with the Cameo!! And I love the effect on the hearts! I am catching up with you at last, I get your blog emails, so haven’t missed anything except saying what I think! Hope your pooches are still with you as I don’t think they could be anywhere else, also hope you and hubby are better and you at least have had your legs up, sorry resting! Oh! yes Brilliant projects as usual. Happy 25th birthday 🙂 (you don’t look a day older, girl! ), I hope you are having a wonderful time on your holiday, and thank you soooo much for the sun, it’s been lovely here today!